The gating system is also known as the runner system, which is a set of feed channels that direct the plastic melt from the nozzle of injection moulding machine to the cavity, typically consisting of main runner, branch runner, gate and cold slug well. 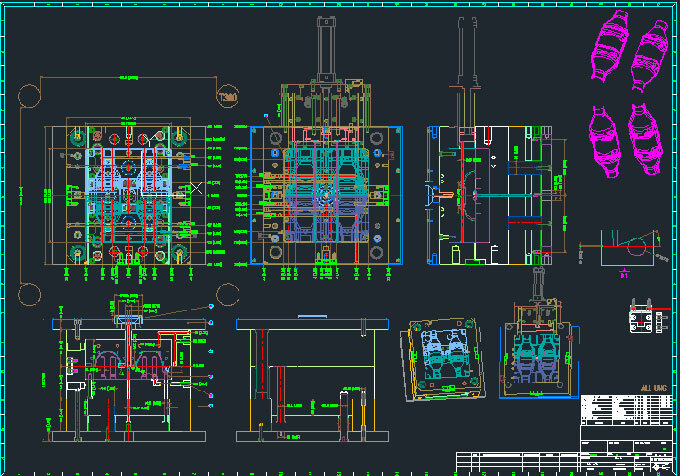 It is directly related to the injection moulding quality and production efficiency of plastic products. 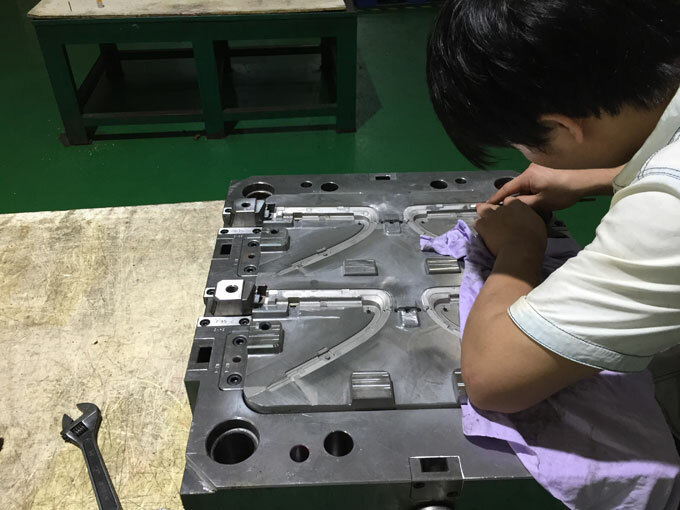 It is a passage in the mould that connects the nozzle of injection moulding machine to the branch runner or cavity. The top of main runner is concave, which is convenient for engage the nozzle. The inlet diameter of main runner should be slightly larger than the nozzle diameter (O.8mm) to avoid overflowing and prevent the two from being blocked due to inaccurate connection. The inlet diameter depends on the size of plastic injection moulded part, which is generally 4-8mm. The diameter of the runner should be 3~5 degree largethan the nozzle so as to release the gate bar. It is a cavity set at the end of main runner to capture the cold slug generated between the two injections at the end of nozzle to prevent the blockage of runner or gate. If cold slug is mixed into the cavity, internal stress is easily generated in the injection moulded part. The diameter of cold slug well is about 8-10 mm and depth of it is 6 mm. In order to facilitate demoulding, the bottom is often carried by demoulding rod. The top of the demoulding rod should be designed as a zigzag hook or a depression groove so that the gate bar of main runner can be successfully pulled out during demoulding. It is the channel connecting main runner and each cavity in the multi-slot mould. In order for the melt to fill the cavities at a constant velocity, the arrangement of branch runners should be symmetric and equidistant. The shape and size of the cross-section of branch runner have effect on the flow of plastic melt, the demoulding of injection moulded part and the ease of mould making. If the amount of flowed molten material is equal, the runner resistance of circular cross section is the smallest. Therefore, a trapezoidal or semi-circular cross-section runner is often used. The runner surface must be polished to reduce flow resistance to provide faster filling speed. The size of runner is determined by the variety of plastics, the size and thickness of injection moulded part. For most of thermoplastics, the cross-sectional section width is no more than 8m, and the extra-large can reach 10-12m, and the extra small is 2-3m. Under the premise of meeting the needs, the cross-sectional area should be minimized to avoid increasing the gate bar of branch runner and prolonging the cooling time. It is the channel that connects the main runner (or branch runner) to the cavity. The cross-sectional area of runner can be equal to that of the main runner (or branch runner), but it is usually smaller. So it is the smallest part of the cross-sectional area of the entire runner system. The shape and size of gate have great influence on the quality of injection moulded part. In injection moulding, the melt can be prevented from flowing back due to the early condensation of molten material of this part. The molten material is subjected to strong shearing to raise the temperature, thereby lowering the apparent viscosity to improve the fluidity. 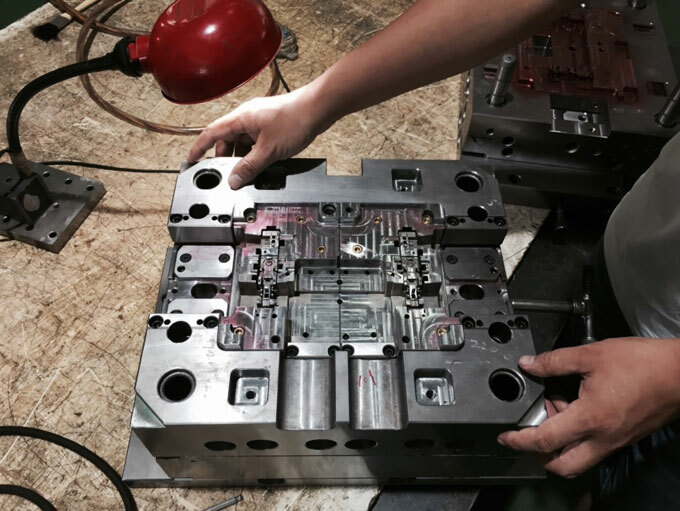 It is convenient to separate the moulded product from the runner system. The design of the gate shape, size and location depends on the plastic nature, the size and structure of moulded product. Generally, the cross-sectional shape of gate is rectangular or circular, and the cross-sectional area should be small and the length should be short, which is not only based on the above effects, but also because the small gate is easy to become large, and the large gate is difficult to be reduced. The location of gate should generally be chosen where the product is thickest and doesn’t affect the appearance. The gate size should be designed to take into account the nature of plastic melt.